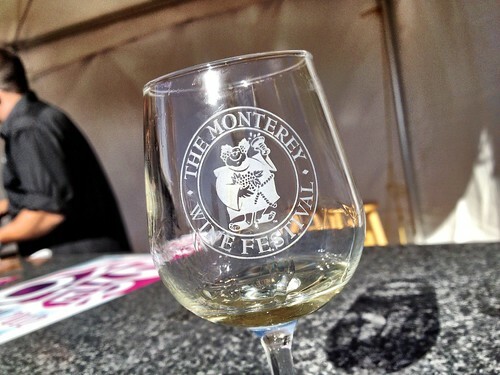 transforms into a wine lovers paradise this weekend for the Monterey Wine Festival. The two day event brings out hundreds of wines, delicious food and competitions. Don’t miss the Kings of Calamari and West Coast Chowder competitions! Friday from 4pm-8pm and Saturday from 11am-4pm. Custom House Plaza, Monterey. Various ticket prices. Enjoy a wonderful night of ballet at Carmel-by-the-Sea’s Sunset Center. The Smuin Ballet Spring Program features a romantic set full of solos, duets, trios and ensemble pieces. Friday at 8pm and Saturday at 2pm, San Carlos Street at Ninth Avenue. Carmel-by-the-Sea. $55-$68. Learn about some of the wildflowers at Garland Ranch this weekend during the 14th Annual Summer Wildflower Show. Guided wildflower walks will take place throughout the weekend as well as one hour slideshow presentations. Saturday and Sunday from 10am-4pm. 700 West Carmel Valley Road, Carmel Valley. Free admission. 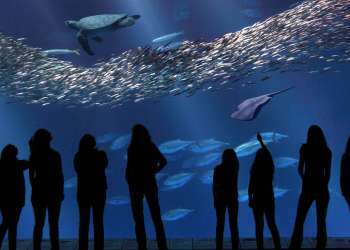 The Monterey Bay Aquarium celebrates World Oceans Day. Visitors will learn about the incredible ecosystem that covers 70% of our planet. There will be live music, family activities and special animal feedings throughout the weekend. Saturday and Sunday from 9am-6pm. 886 Cannery Row, Monterey. Free with admission. It’s the first Friday of the month which can only mean one thing; it’s time for the First Fridays Art Walk! Businesses in Oldtown Salinas open their doors for art exhibits, live music, refreshments and lots of family fun. 5pm-8pm, 100 Main Street, Oldtown Salinas. Free event. The Del Monte Shopping Center shows its support towards military personal by offering discounts, free food and entertainment to those serving our country. Live entertainment is provided by the Del Monte Brass Band, DLI Air Force Choir and the Air Force Jazz Band . 10am-2pm, 1410 Del Monte Center, Monterey. Free event. Carmel Valley is home to a vast amount of wineries and art galleries which is why t hey are holding an Art and Wine Celebration today. Carmel Valley Village will be sprawled out with live entertainment and vendors sampling their finest wines and exhibiting their unique art pieces. 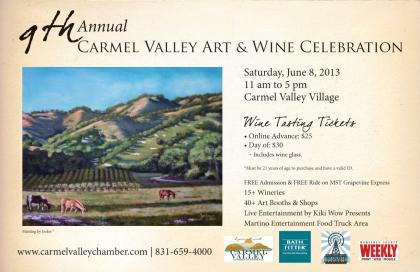 11am-5pm, 19 E. Carmel Valley Road, Carmel Valley. Free admission, wine tickets are $25 in advance and $30 at the door. 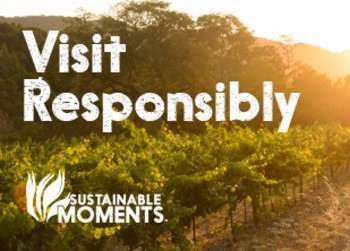 Take a hike with guides from the Monterey Peninsula Regional Parks District. Today they explore the late blooming wildflowers that call Garland Ranch home. The 2 mile hike is expected to last 1.5 hours. Don’t forget to bring water and snacks and to wear shoes with traction. 1pm, Garland Visitor Center, Carmel Valley. Free event. Listen to the soulful jams of Amee Chapman and the Velvet Tumbleweeds at Fernwood Tavern tonight. 9pm, 47200 Highway One, Big Sur. Free event. 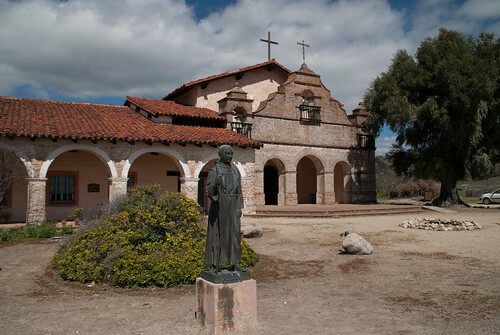 Visit Mission San Antonio de Padua at the south end of Monterey County today for their annual fiesta! The historic mission puts on a summertime party with a delicious BBQ, wine, dancing and music from bluegrass and mariachi bands. 11am, Mission Road, Jolon. Free event Kenny Stahl and Friends stop by the Big Sur River Inn this afternoon for a delightful jam sesh. The easy listening jazz band sets the perfect tone for a relaxing day by the river. 1pm, 46840 Highway One, Big Sur. Free event.